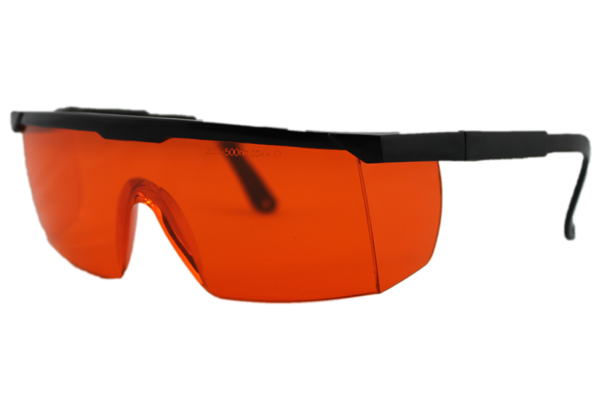 The SD series of laser safety glasses provide CE certified laser radiation protection. The comfortable frame style can be used over the top of prescription lenses and has top and side shields to protect the user's eyes from peripheral laser radiation. The interior dimensions of the SD series of laser goggles are <?xml:namespace prefix = st1 ns = "urn:schemas-microsoft-com:office:smarttags" />145 mm x 53 mm and have a 140 mm temple. The lenses have a diagonal length of 68 mm. Each pair of laser safety glasses comes with a protective storage case, a slip on neck strap, and a cleaning cloth. Tell us what you think about Laser Safety Glasses SD-7, share your opinion with other people. 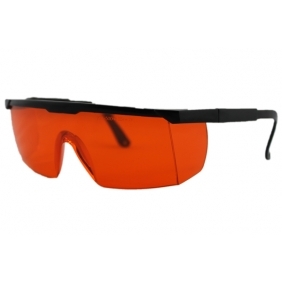 Please make sure that your review focus on Laser Safety Glasses SD-7. All the reviews are moderated and will be reviewed within two business days. Inappropriate reviews will not be posted.